Property Location When you stay at Grape Arbor Bed and Breakfast in North East, you&apos;ll be in the historical district and convenient to Lake Shore Railway Museum and Blue Iris Winery. 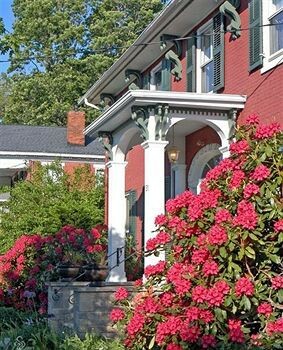 This bed & breakfast is within close proximity of Penn Shore Winery and Courtyard Wineries.Rooms Make yourself at home in one of the 8 air-conditioned rooms featuring refrigerators. Wireless Internet access (surcharge) is available to keep you connected. Conveniences include coffee/tea makers and complimentary bottled water.Rec, Spa, Premium Amenities Take in the views from a garden.